This English lesson is about stative verbs and how we use them in English. What are stative verbs? Verbs are normally either action verbs or a state (stative) verbs. For example, verbs that talk about feelings, thoughts, senses, possession and measures are state verbs. The main characteristic of stative verbs is that they are not used in continuous tenses. I need to get a haircut. (not I am needing...) My fringe is a bit too long at the moment. He wants to speak to Sarah about buying a new dog. Which verbs are state verbs? Mental or emotional states - believe, feel, remember, imagine, know, love like, hate, etc. He knows the answer to the question. He just doesn't want to tell you. I hate having to wake up early to go to school, especially on Mondays. Senses - smell, taste, feel, hear, etc. This sandwich tastes really bad. I think I'll get another one. I smell something burning in the kitchen. You must have left the oven on. I hear what you are trying to say but I don't agree with you. Rob owes his father $200. He hasn't paid him back yet. The red car belongs to my brother. The blue one belongs to my father. We also use state verbs with modal verbs - can, could, must, etc. I could see the ship on the horizon. Other state verbs are consist, contain, depend, deserve, etc. You deserve a nicer boyfriend than Pete. Why don't you drop him? If you liked this lesson here's another grammar lesson you may like. 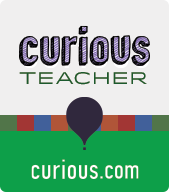 I have some English courses at curious.com if you want to take a look at them and help me out. Please help me make more lessons by buying me breakfast.